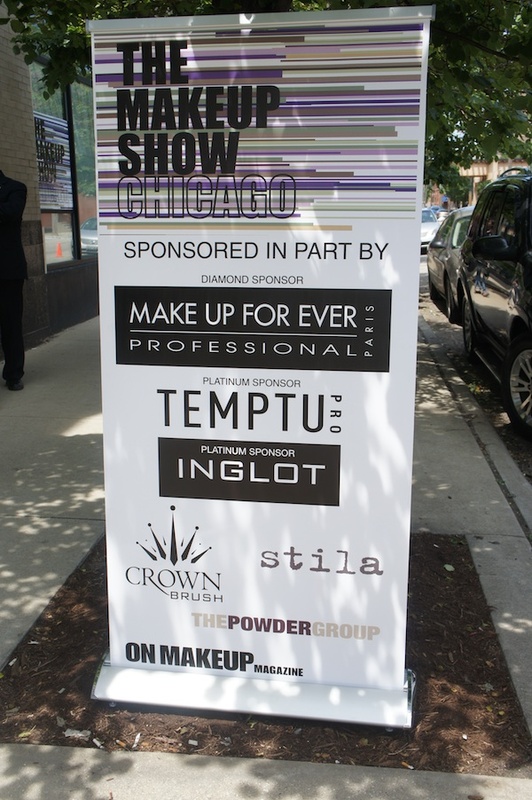 This past weekend, The Makeup Show made its way to Chicago for the first time ever! As I've stated in the past, I'm no expert when it comes to makeup. I do, however, appreciate the correlation between makeup and fashion. We all know that styling, including hair and makeup, can make or break a runway show or fashion spread. Plus, trends in fashion influence makeup trends and vice versa. So, when I received an invite to attend the pro-only event, I jumped at the chance to not only meet (and learn) from industry experts such as Reggie Wells, Sam Fine, James Vincent, Joanna Schlip and Danessa Myricks but to also hang with my fellow fashion and beauty bloggers. 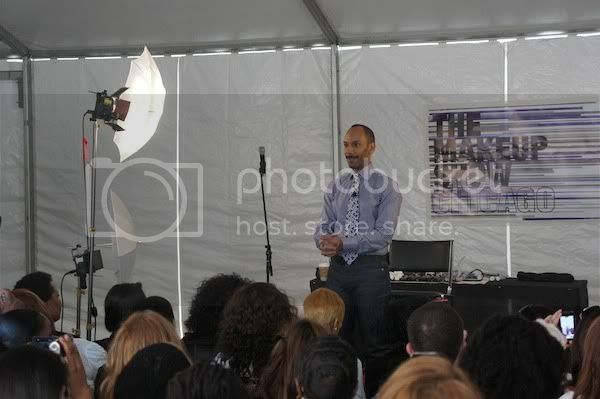 The blogger event held on the day before The Makeup Show provided online media mavens with an opportunity to learn more about the event and its featured artists from MUA and The Makeup Show Director of Artistry, James Vincent (shown below). Afterwards, bloggers networked with one another and exchanged business cards. We also received a magnificent bag full of products. My favorites being the Senna Form-A-Brow Kit and the makeup loot from Ruby Kisses. Needless to say, we were all amped for the start of the show the following day. The Makeup Show was held at Venue One in the West Loop. 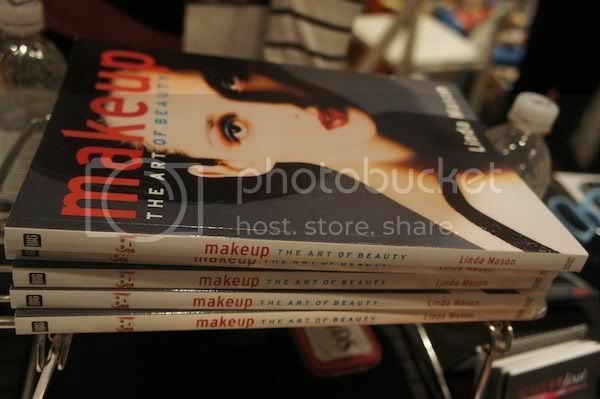 Upon arrival, I immediately noticed the twinkle in all the makeup artists' and beauty bloggers' eyes as they circulated the room. 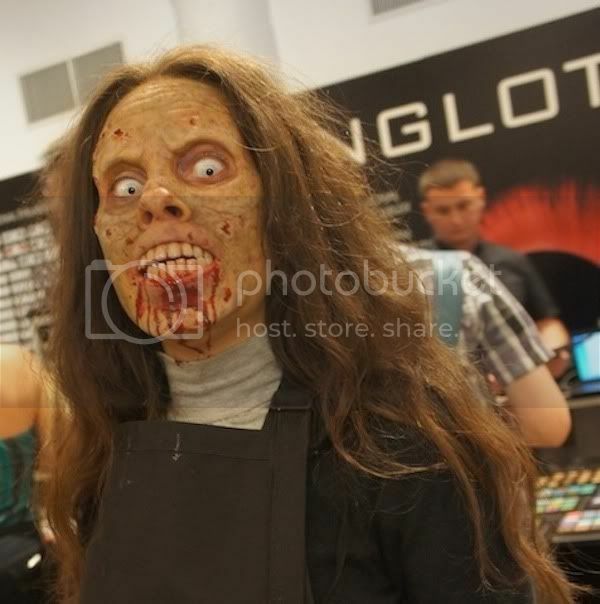 If long lines are any indication, INGLOT and Crown Brush seemed to be the favorites amongst the attendees. 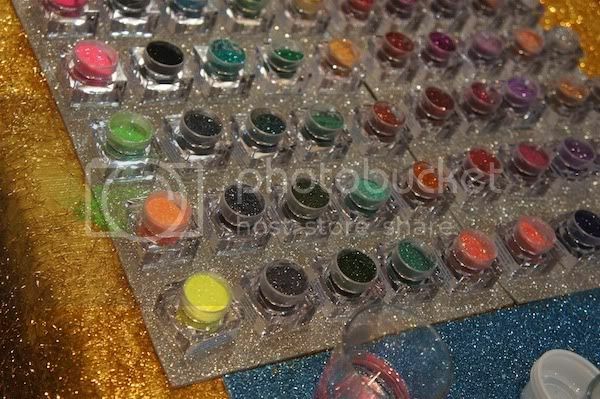 The Make Up For Ever booth was equally overwhelming. Their discounted "show pricing" even made my heart flutter a little bit. 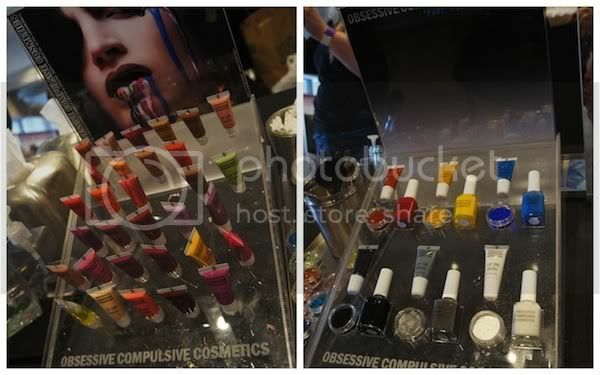 I was also drawn to the Ruby Kisses beauty demonstration area that was equipped with bright lights, beautiful people and flawless makeup application. Bright colors and glitter were the reoccurring themes throughout the show...and rightfully so. Nothing grabs attention better than color and sparkle. As a lover of art, I was also a fan of the skillful artistry displayed in the theatrical makeup (courtesy of the Chicago-based school Make Up First) and body art. Of course, even in a room filled with makeup, fashion was in the forefront of my mind. 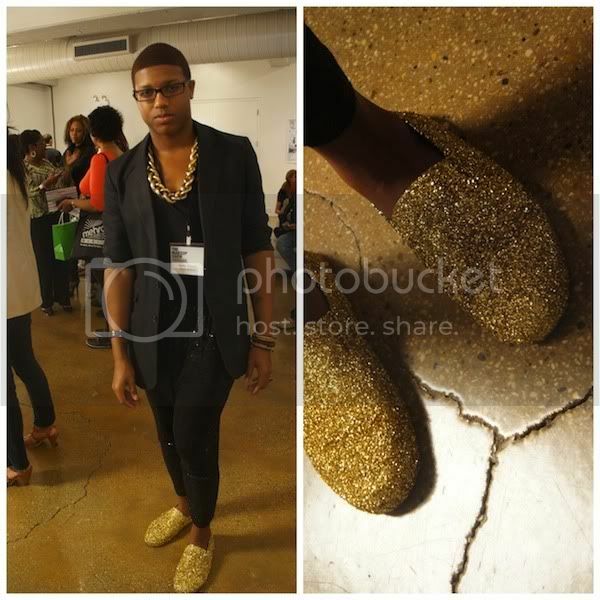 I spotted several stylish bloggers and makeup artists. The climax of the day was the highly-anticipated keynote speaker, Sam Fine. As a celebrity makeup artist to clients such as Iman, Tyra, Janet Jackson and Queen Latifah, I was extremely impressed with his humility. When one of the audience members commended him on it, he explained that his humility is the basis of his mantra: "we're all servants". Well, and also the fact that "that's how my mama raised me". His engaging demeanor made us all feel as though we were hanging with one of our BFFs. As he took Q&A, he offered up more than just makeup tips. There were several pieces of advice that not only applied to the makeup industry, but to life in general. Re: Mentors - You don't have to necessarily have someone physically take you under their wing. The work of those you admire can influence and inspire you. So, use magazines and other references as your "mentor". Re: Competition - Don't live with the idea of competition. It is counterproductive. The only competition you should worry about is yourself. Re: Sense of Self - "You can know who you are by the people that hang around you"
The Makeup Show Chicago was a great experience! Unfortunately, I could only attend Day #1. But I gained so much insight from that one day. Do I now consider myself a makeup expert? Absolutely not. 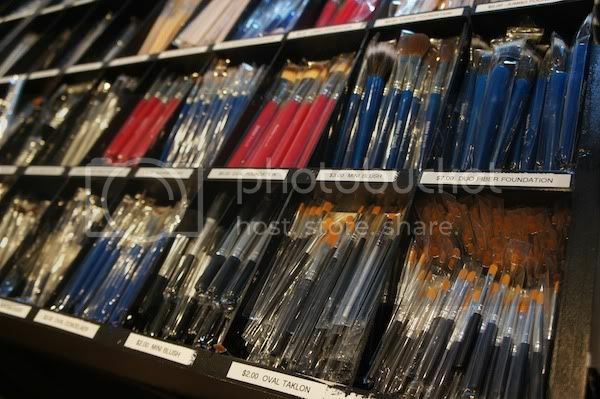 However, the personal connections as well as the tips and products I received certainly opened my eyes, even more, to the wonderful world of makeup. 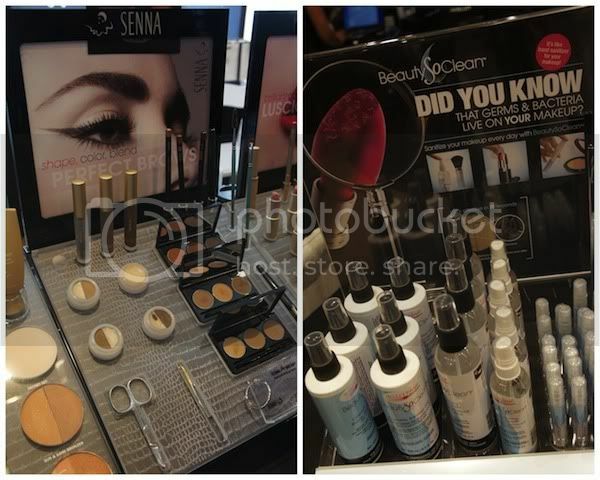 Did you attend The Makeup Show in Chicago or any other city? What was your favorite moment? *Special thanks to Melody of Melody Joy PR for the invite. 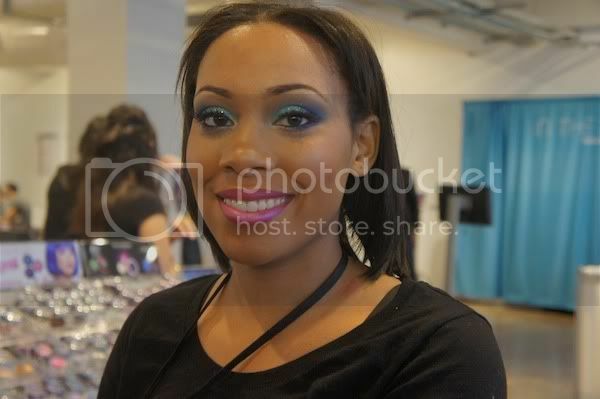 Additional thanks to The Makeup Show for featuring ChiTown Fashionista on their blog. Click HERE to read the post. What a great time! I bet listening to Sam Fine talk was awesome! 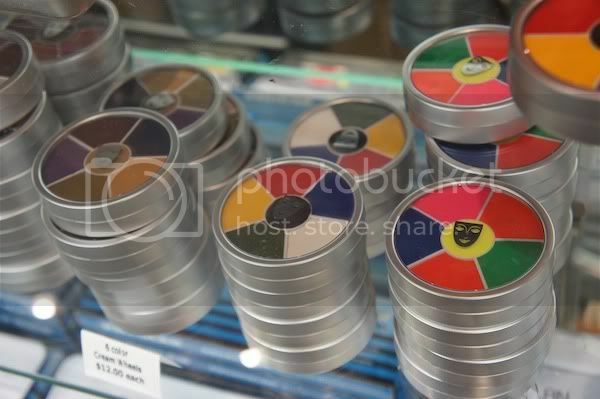 Ahh, all of that makeup on one place would make my head explode! Sounds like you had so much fun and hearing Sam Fine speak was an awesome opportunity! @Tara & Sheena, yes! Sam Fine was certainly the highlight for me! @Diana, thanks for visiting my blog! Keep me posted on your transition from student to Pro! I'm sure your journey will be amazing.